I am very rough on my hands and because of that, my nails are not usually in the greatest condition. I paint them frequently because I have found that they split and peel the least when they are protected by nail polish. I will concede that no nail polish may be better than chipped polish, not because of how it looks but because where the nail pokes through the chips are weak spots and I've found it's where the most damage happens. With the drier weather here in New England and the onset of an increase in anti-germ hand washing I've noticed that my nails are almost always in a state of peeling and breaking. It's not cool. I worked really hard to stop biting my nails when I as younger and, now that I don't do that anymore, I want to have strong, beautiful nails all of the time. 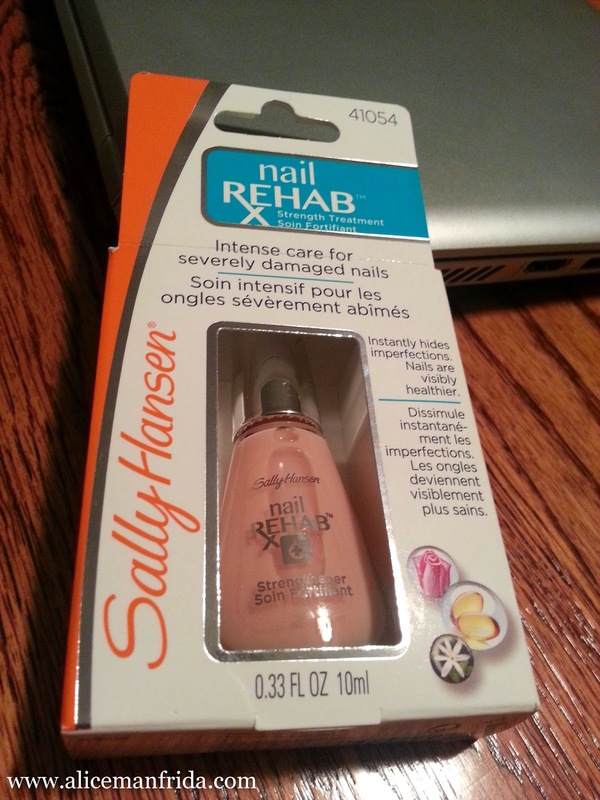 Sally Hansen has always been my go-to brand for nail care and I've tried tons of their products. I bought this one a couple of weeks ago and so far I really like it. 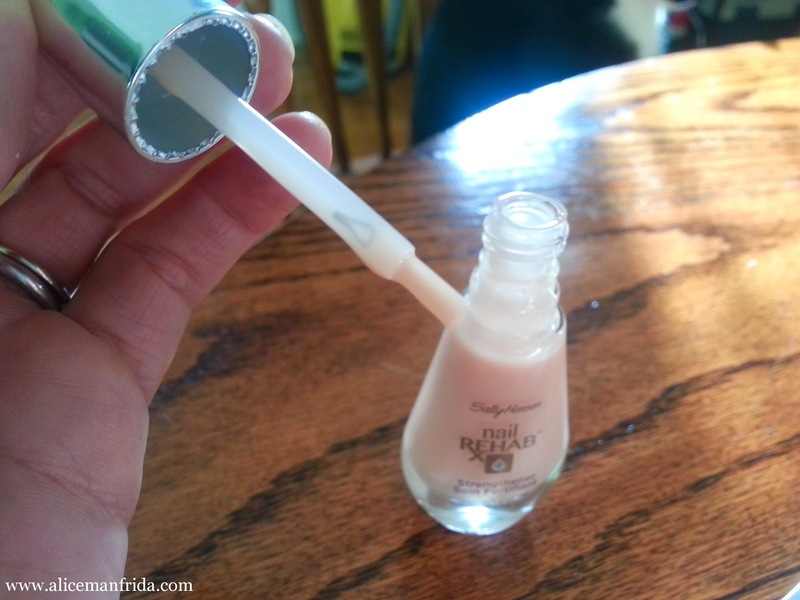 It is a nail strengthener that you can either use by itself or as a base coat under another nail color. 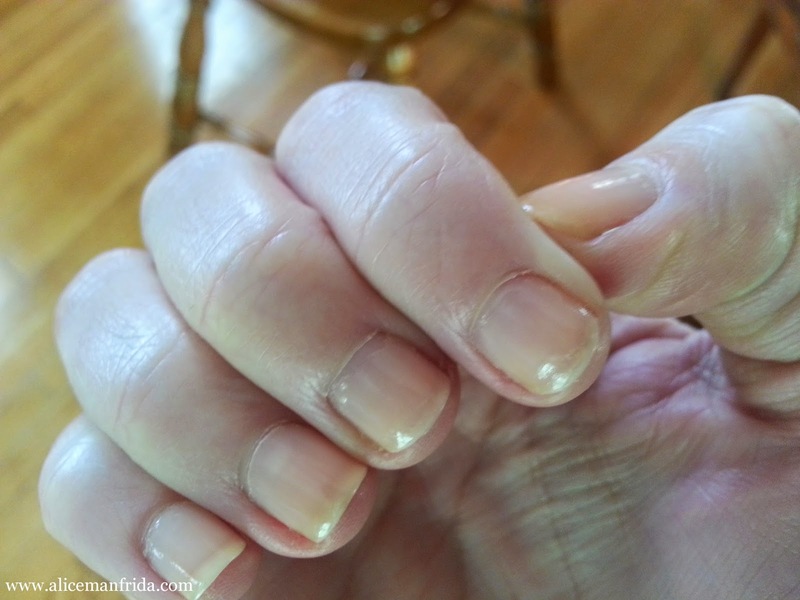 It fills in any imperfections in your nails, like ridges or parts that have peeled off. 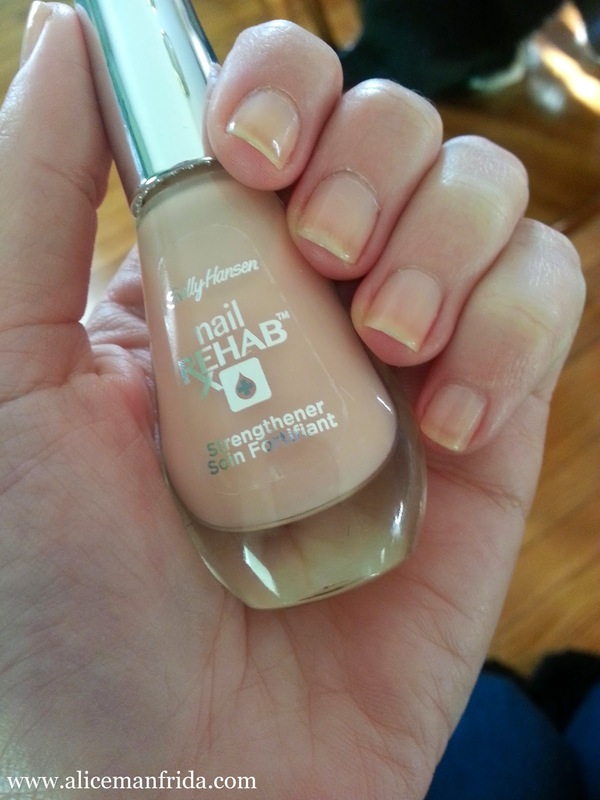 It is sheer but does have a slightly peachy-pink tint to it so it gives your nails an even color, which I think is nice. My pointer finger on my right hand is the one that looks the worst at the moment. I've had two coats of the Nail Rehab Strengthener on for four days so it's begun to wear away a little bit at the very tips of my nails but it's holding up pretty well, I think. This nail peeled way down the nail, and although it is growing out, it's still pretty noticeable. This Nail Rehab isn't magic but it definitely has made a big difference. I will also say that my nails do feel stronger with this on. When the top few layers peel off, the tip of the nail is super thin and bends and breaks easily. I know that my nail would've snapped by now without this. My Sister Made Me Breakfast!